For fans of Ali Benjamin’s The Thing About Jellyfish and Katherine Applegate’s Crenshaw comes the humorous and heart aching story of one girl’s struggle to keep hope alive for her and her younger sister in Sunny Pines Trailer Park. Ann Dee Ellis lives in Utah with her husband and five children. She is the author of the YA novels This is What I Did:, Everything is Fine, and The End or Something Like That. 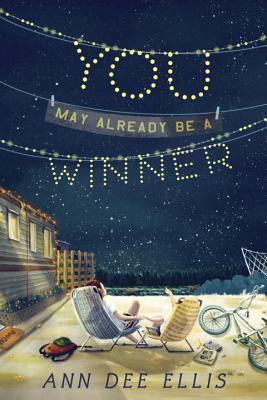 You May Already Be a Winner is her middle grade debut.